Taking time to clean up the debris from the previous winter. 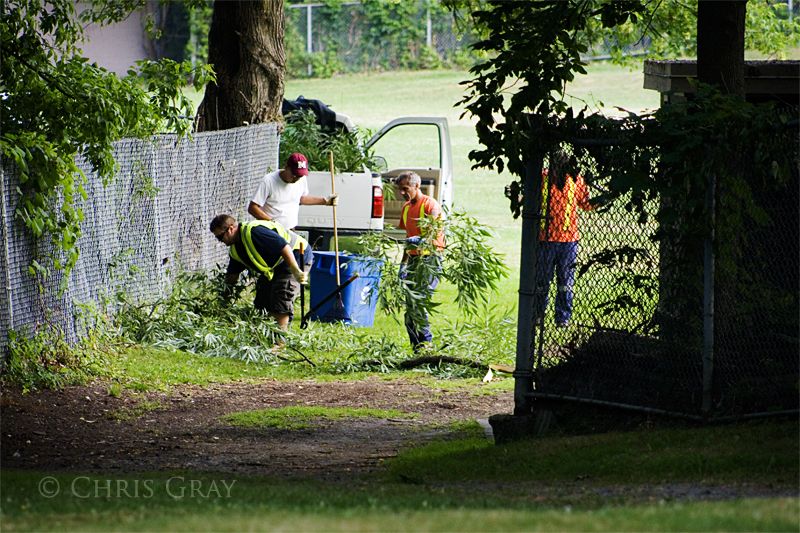 I talked to these guys in the summer, and asked why it took so long to clean up the park. They told me that they were the only crew dedicated to cleanup in the entire city. I wonder if they'll be back this summer, now that winter is finally here. This page contains a single entry by Chris published on January 23, 2012 9:04 AM. Looking Back 2 was the previous entry in this blog. Queen and Coxwell - Fog is the next entry in this blog.